Circa 1900. 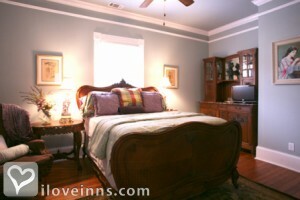 Located in downtown Atlanta, Georgia, in the community surrounding Grant Park, this historic Queen Anne Victorian inn was once a working farm and homestead. 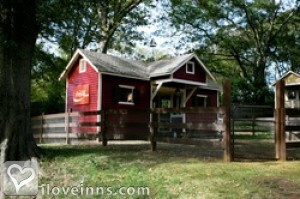 Now this little farm in the big city sits on almost an acre with dwarf goats, cats, turkeys, chickens, roosters, goldfish and a koi pond. Enjoy southern hospitality and feel at home upon entering the original parlor with coffee and tea available. 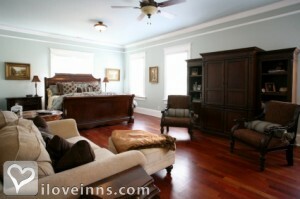 Watch a movie in the den and access Wifi throughout the rooms and grounds. 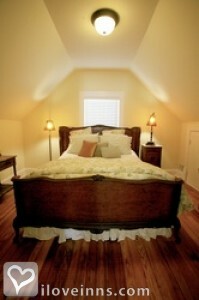 Stay in the Master Suite with Brazilian cherry floors, a sitting area, soaking tub and double-headed shower. 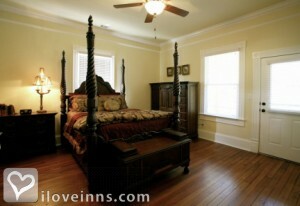 The main house boasts a third-floor suite and second-floor guest room with a door to the balcony. 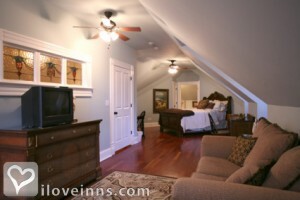 A one-bedroom apartment in the Carriage House offers more room and privacy. 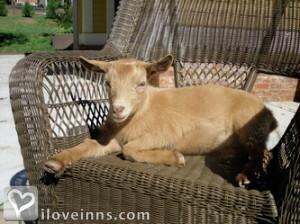 A continental-plus breakfast is served in the dining room or on one of the covered porches. 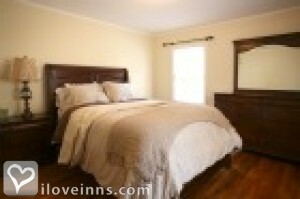 This property has 6 total guest accommodations, 4 with private bath. The types of beds available include Queen and King. 3 day cancellation policy from reservation date.